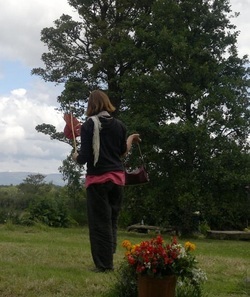 This is a week-long workshop introducing ecological movement. Niche, pattern and emergence are the lenses used to explore the sense of being ‘among’ rather than at the centre of the world. 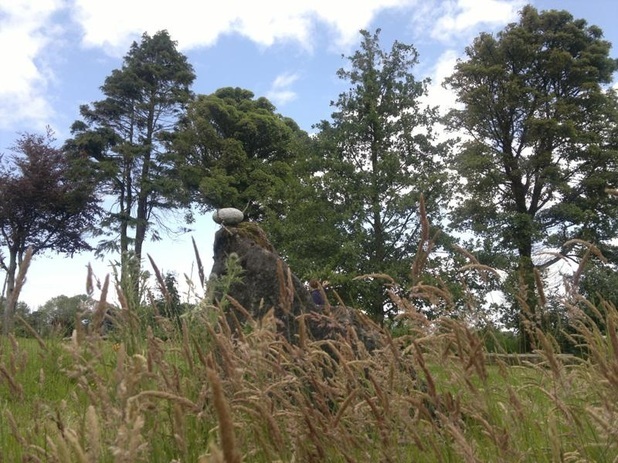 Working mainly in a beautiful wild garden and on the rocks outside Sligo we study movement in any condition throughout the week –in our daily life and during the workshop sessions,. This brings us into contact with broader and deeper themes in our movement and therefore in our lives. The workshop cultivates an awareness of oneself as ‘part of a group’ in a particular place rather than as an ‘individual’ in the environment. Through movement we cultivate a condition of being present to and within changing circumstances. We learn to move more fluidly with change, embodying less resistance or grasping and reacting less to it. The world becomes a shared habitat rather than owned territory. This sense of belonging and sharing is profoundly ‘ecological’. As the week progresses we also choose whether to move from daily life, healing or performance sense. The week finishes with shared individual and small group movement pieces to crystallise each person’s experience within the group. The emphasis throughout the week is on learning to become one's own guide in movement. Cost: €600 for course fee and all lunches. Early bird discount: €570 if booked before 28th Feb. 2015. Accommodation is not included. Options include: Camping (app. €10/day) ~ B&B (app. €40/day) ~ Shared self-catering accommodation (app. €130/week). Alternatively, please email me (Sandra).